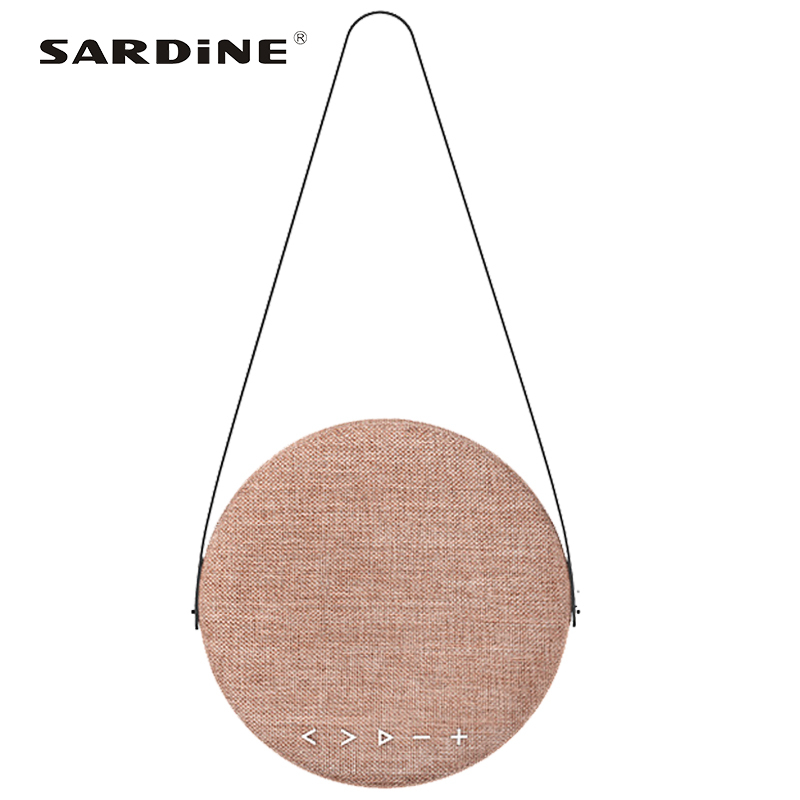 Sardine blue tooth speaker is portable and high quality sound. This speaker have holder for standing, and also have a belt for outdoor.Hang out and hit the road with music.Connecting with your mobile phone or othe devices by bluetooth, then music goes out from this round bag music speaker.4000mAh big power fabric bluetooth speaker, long battery life for music!Pure and fressh,NEWEST speakers for the computer and phone.Fashion shape and style, hang on your shoulder, it is easy to match with any clothes. This bag speaker is cute for girls.A best bluetooth speaker gift for family and friends. Support: Bluetooth sound box support handsfree calls as a car speaker, free your hands for driving. Voice box bluetooth control range up to 15 meters,drop the phone for music. Cute and simple appearance,it is easy to be loved by girls as a gift. Portable speakers, lightweight for daily life usage.It feel good for hand touching. Bluetooth audio amplifier for music,perfect sound: 6w*2.